Unfortunately, traditional SMS messaging (Text Messaging) is inherently nonsecure and noncompliant with safety and privacy regulations under the Health Information Portability and Accountability Act (HIPAA). 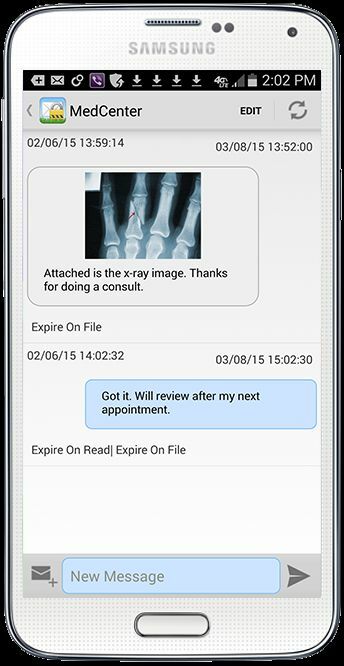 Messages containing electronic protected health information (ePHI) can be read by anyone, forwarded to anyone, remain unencrypted on telecommunication providers servers, and stay forever on sender’s and receiver’s phones. 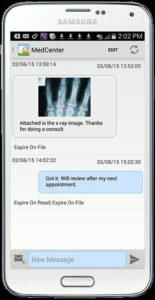 So how can Medical Staff receive messages while avoiding HIPAA violations from the Federal Government? Secure Message Apps that you download to your Apple I-Phone or Android Phone are OK. Here is an example that we use…. Studies have proven that your Law Firm’s most important asset is the telephone and the person greeting the caller. Studies have also shown that most people end up choosing the first professional company they end up talking with. If you’re meeting with a client, traveling in an air-plane, taking a shower, having dinner with your loved ones, etc… Business Connections Receptionists are ready to greet your callers 24 hours a day, 7 days a week. Potential new clients are the lifeblood of a growing Law firm. Did you know that we can warm transfer (Direct Connect) potential new clients, calls from Judge’s quarters or court to your mobile phone? After we greet the caller and get some basic information, if the call meets your criteria as an urgent call we will say to the caller “One moment please. I am going to see if Mr./Ms. ____ is available to talk with you.” We place the caller on hold, then speed dial your mobile phone. When you answer, we provide this basic information to you and ask you if we can connect the caller to you. If you say yes, the caller is connected and you turn this telephone call into a new client. While you’re getting details from this new client, your precious dollars in advertising, education, training and state of art live telephone answering service continue to provide a very high rate of return on your investment. For routine calls that don’t meet your urgent criteria, the Business Connections Receptionist will email a detailed message to you. In addition to an email, we can also send a text to your mobile phone and you can choose to respond immediately or at your convenience. The Receptionist can also offer the caller your voicemail… “I can take a message or would you prefer Mr./Ms. ____ confidential voicemail?” The caller will hear a greeting that we record for you or the recording can be in your voice. After the caller has left their confidential message in voicemail, you will receive an email with an attachment. From your computer or smart mobile phone double click the attachment and over the speakers you will hear the message. At Business Connections our goal is to answer your telephone within the third ring or less. We achieve this goal within a 95% confidence level every day. Another statistic we look at each day is how many calls we put on hold and how long callers wait on hold. Over the past 6 months we’ve put 7% of callers on hold and this mostly occurs when we are performing a Warm Transfer to the requested person. During this 6 month period the average hold time has been 30 seconds. This is good information to know. However, how many customers angry over their wait-time experience have been pacified by being told “your average wait-time is three minutes”? The problem is, customers don’t “feel” averages. They feel variation. Average is like placing one of your feet on a hot bed of coals, and the other in a bucket of ice water. On average, you should feel pretty comfortable. Staffing enough people at the right time is the key to success. Every day we print out a graph that shows the number of calls we handled in 30-minute increments and we are able to forecast our staffing requirements for the next day. We utilize the fastest, most state of the art equipment and employ 28 Telephone Receptionists. During the last 15 years our receptionists increased productivity 63% due to new technologies, and we’re providing much better service to your callers today. Mr. _____ – “Susan, I was thinking about you earlier today and I’m so glad you called”. As part of our continuing effort to provide you with reliable, efficient and new technologies, we will be upgrading our voicemail equipment. The upgrade will take place on Tuesday November 11th at 10 AM. If you call in to listen to your messages please pay close attention. If you receive messages via email, you can ignore the remainder of this memo. For those who call in to listen to messages, please make sure you retrieve all of your messages from the OLD machine a few minutes before 10 AM on November 11th. After 10 AM messages on the OLD machine will not be accessible. Also, remember all messages taken after 10 AM on Tuesday November 11th will be recorded on the new machine. Your voicemail telephone number or answering service check-in number will remain the same. Your voicemail account password will remain the same. If you notice that it is not the same, call 1-866-601-6115 and ask for Dirk or Stuart Moeller and we’ll fix it. The prompts in the new voicemail system have changed. A summary guide is included for your reference. Please Note: All options are announced to you during each call. Rather than calling in from a telephone, the voicemail system can automatically Email you with an attachment. Simply double click the attachment and over the speakers of your computer or smart mobile phone you will hear the recorded message from your caller. To receive your messages via Email, call 1-866-601-6115 and ask for Dirk or Stuart Moeller. Voicemail messages saved in the old voicemail system will not be transferred to the new voicemail platform. Please pick-up your messages from the OLD machine a few minutes before 10 AM on November 11th. There are now four folders to store your played messages. You can save them in the “old messages” folder, a “work messages” folder, a “family messages” folder and a “friends messages” folder. In the new system there are now three outgoing greetings that you can record from any phone. The first greeting is the default greeting called the “unavailable greeting.” In a basic configuration, this is the only greeting that callers will hear. For many clients this is all they will normally need. The “busy greeting” is not available at this time – reserved for future upgrades. With the new platform we now offer a “temporary greeting” which overrides all other greetings. This is controlled by the user and is recorded and placed in effect on a case-by case basis. Examples of using a temporary greeting include snow days, holidays, days or times your offices are closed during the business day, emergencies, severe weather, power outages affecting your office, phone system problems, etc… Please Note: The temporary greeting will replace your other greetings until you delete it. You must record a temporary greeting when you need it and delete it when you want the regular greetings to play to callers again. We hope you’ll find our new voicemail platform simpler to use, faster, clearer and more reliable. Once you learn the prompts, you can press buttons at any time. You do not have to wait for each prompt before pressing the buttons. In the future we’ll be adding more features to make our system as useful as possible. Please contact Dirk or Stuart Moeller at 1-866-601-6115 with questions. Dial your Voice Mail telephone number. Press * and enter your password. Or if you use a Check-in number, dial it (see below), enter your mailbox number, wait for prompt, and then enter password. Press 9 to save this message. Which folder should I save message to? Ski Bum Economics = Are you Making Money or Making Memories? Glen Plake, the Mohawk-headed Pied Piper of American skiing, once told me, “Skiing is the best way of wasting time that I know.” And honestly, I can’t think of anything more simply pleasurable than going up and down a snow-covered hill. It’s worth remembering in times like this how good the wind can feel in your face, with the world speeding beneath your skis, spinning like a wheel. Chairlifts make it better. Good friends make it great. And helicopters make it superb. But all you really need is gravity, and snow. When I graduated from college I moved to Jackson Hole and skied more than 600 days over four years. I delivered pizzas and planted trees, and was out of work each mud season in the spring and fall. But I always had enough money for a new pair of skis and a season pass, and there was never any shortage of beer. Did you know that Business Connections 24 hour Answering & Voice Mail Service can help take care of your callers & clients while you escape for an afternoon, a day, or even several weeks to make a memory while still making money? Check us out a www.bcanswer.com You can also see what some of our clients are saying about us. Feel free to call and ask for me personally at 1-866-601-6115 – Dirk Moeller, Business Connections. Missed calls are lost opportunities – an item no business can afford in these competitive times. Since most new clients originate from a telephone call, you can gain a competitive advantage by using a 24 hour receptionist service. Business Connections has provided the solution since 1949. Cheerful, professionally trained telephone receptionists can answer your phone with a personal touch. Don’t be “out of business” just because you’re out of the office. We will greet your callers 24 hours a day, answer questions, direct connect urgent callers to you…even elicit a name and phone number from a person who might hang up on a machine. Routine messages will be e-mailed to you. We can also send a text message to your mobile phone in addition to e-mailing messages. All this can be done for a fraction of the cost of having an employee. Business Connections receptionists will work for as little as 10 cents per hour with no sick days, no lunch hour, no vacation, no coffee breaks, no health insurance for you to worry about. Let’s face it, your advertising dollars work 24 hours a day. Why not have your potential clients greeted 24 hours a day? Impress your clients and grow your business. Request a quote today by calling 1-866-601-6115. Bicycle Economics = Are you Making Money or Making Memories? John F. Kennedy, the 35th U.S. President once said, “Nothing compares to the simple pleasure of a bike ride.” And honestly, I can’t think of anything that frees the mind better than a spin on a country road while pedaling a bicycle. It’s worth remembering in times like this how good the wind can feel in your face, with the world speeding beneath your wheels. Smooth pavement makes it better. Coasting down hills make it great. And no matter what the terrain, friends make it superb. But all you really need is properly inflated tires, a lubricated chain and a nice range of gears. In 1994 my wife saw an article about Cycle Oregon in the local newspaper and encouraged me to take on this 475 mile ride in rural Oregon. I wasn’t sure if my body could tolerate riding nearly 70 miles a day for 7 days, but I sent a check with my completed registration. When I arrived in Eugene, Oregon for the start there were 2000 cyclists from all over the globe. We camped out in small towns. One night our 2000 cyclists outnumbered the residents in the entire county. One hot afternoon 5 of us stopped in the shade of an oak tree and saw a farmer who was getting ready to harvest his wheat field. He started up a conversation with us and we asked if there were any swimming holes nearby. He pointed towards a side road and said “about 5 miles in that direction is a beauty…best one in the county”. It sounded perfect, but the extra 10 miles added to our daily ride made it a difficult decision and the farmer sensed it. He then said, “You see that red pick-up over there? The keys are in it; just return it by 6 PM so I can go home for dinner”. Other than my wife, 3 kids and impending college tuition, I think about cycling trips more than anything else. That is the difference between making memories and making money. No matter how hard you work to earn either, only memories consistently pay you back over the long haul. That’s why, no matter what happens with the economy, I’m cycling as much as I can this year. Because the dividends are guaranteed, and the rate of return is unbelievable. I’ll see you out there. Did you know that Business Connections 24 hour Answering and Voice Mail Service can help take care of your callers and clients while you escape for an afternoon, a day, or even several weeks to make a memory while still making money? Check us out a www.bcanswer.com You can also see what some of our clients are saying about us. Feel free to call and ask for me personally at 1-866-601-6115 – Dirk Moeller, Business Connections.